A national discount tool and equipment retailer issued a recall Monday for more than 1 million electric chain saws after receiving reports that some models continued running even after being turned off, exposing unsuspecting users to potentially serious injuries. Harbor Freight Tools, a company headquartered in California, has flagged two models of 14-inch chain saws sold under three brands including Portland, One Stop Gardens and Chicago Electric, according to a recall notice from the U.S. Consumer Product Safety Commission. The issue is a malfunction with the power switch. Even though it may be in the “off” position, faulty chain saws will stay on, the recall notice said. So far, the company is aware of 15 cases in which “chain saws continuing to operate after being turned off by the operator, resulting in three laceration injuries including one serious injury to the arm requiring stitches,” the notice said. The chain saws, which cost $50, were sold at Harbor Freight Tools stores nationwide and online from May 2009 through February 2018, according to the notice. Unfortunately, owners of these chain saws won’t be getting a refund. Rather, the company is asking people to return their chain saws to their local Harbor Freight Tools stores in exchange for a new one, the statement said. 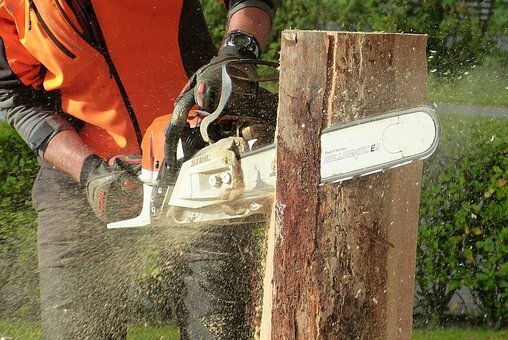 Contrary to the recall notice, which said replacements were available beginning May 1, the company’s said in a recall poster on its website that people can start exchanging their chain saws May 21. In the meantime, Harbor Freight Tools has some advice for owners of the recalled chain saws. “STOP USING THESE CHAINSAWS IMMEDIATELY,” the poster said.